This past week I sat down with Michelle Toomey and Kristen Zemeitus, two Account Executives at Cone Communications. 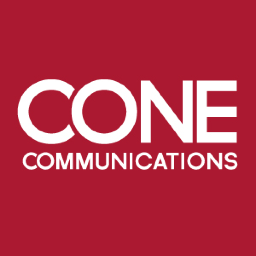 Amid their busy days, they offered me a glimpse into what they do at Cone, along with advice for aspiring PR professionals. Michelle and Kristen both work on the Brand Communications team, which they explain as “typical consumer PR.” The Brand Communications team works with businesses/brands and through understanding their clients’ stories, they communicate it to consumers. Their days include researching, working with social media, pitching, event/promotional planning and more. Do Internships. Throughout your college career, get internships. Internships are an essential part to building your future career because they give you the opportunity to network and learn skills outside the classroom. It is a way for you to use your knowledge from the classroom in the real world, and see the bigger picture of public relations at work. Also, through internships, you will be able to get a better sense of what types of PR are of interest to you, and what type of career in PR you want to pursue. Know the lingo. Understanding the vocabulary and key terms that PR professionals use, such as consumers, target market, target audience, pitch, media kit, etc., will make you stand out in a group of applicants when applying for a job. “When I first interviewed at Cone I used PR terms to describe my past PR experiences and one of the things they said to me was ‘You speak our language!’ That was one of the things that set me apart,” said Michelle. Keep up with the industry. Public relations is a fast-paced, constantly changing field. If you immerse yourself in the news, blogs, trade magazines and digital/social media channels early on, it will give you a better understanding of the field and can even help you predict where the field is heading. As a PR professional it is important to be aware of what is going on in the world because you never know what information might be useful to your clients. Be passionate. This does not only relate to PR, but any job. Make sure you end up doing something that you love. There is nothing worse than dreading waking up in the morning because you have to go to a job that you hate. Keep this in mind when interviewing as well. Apply for jobs that you have become knowledgeable and passionate about. If you are passionate, you will be more likely to be motivated and driven to be the best that you can be regardless of possible rewards and outcomes. Interviewers respond positively to job applicants who express true passion for the field and will be excited to have you join the team! Want my advice? Reach out to PR professionals! More times than not, they will be welcoming to your questions and eager to tell you about their own experiences, which is always something you can learn from.